General Manager, Sheraton Dallas Hotel With 1,840 guest rooms and 230,000 square feet of meeting and event space, the Sheraton Dallas is one of the largest hotels in the city. Overseeing the entire operation since early 2008 is general manager Ray Hammer. Over his 20 years of experience in the hospitality industry are stints as general manager of the Sheraton Park Central in Dallas and, early on, executive chef at the ITT Sheraton World Headquarters in Boston. He recently took some precious time out to talk with M&C. What do you like best about your job? For one thing, every day is different. Our guests' requirements and expectations keep us busy – and creative -- as we figure out the best format for delivering on those expectations. Plus, our employees form such a close community within the hotel, we've been recognized for three years in a row as one of the best places to work in Dallas. Is there anything about the hotel that might surprise planners? They might be surprised by the sophisticated technology we have here, everything from our own teleconferencing center to the amount of bandwidth we have the ability to deliver throughout the hotel. Moreover, they can bring in their own technology and we can lay it over our own distribution system, using fiber optics, across the property. That's a big part of what we deliver. What kind of mistakes do you see planners make? Well, let's put it this way: When I see planners taking the time to plan on-site in advance so they truly understand what we have here, I know they will be able to lay out their meetings with an effective format and great flow. How do you spend your spare time? My two teenage daughters keep me and my wife pretty busy; plus, I have a background as an executive chef, so cooking and eating are high on my list. PlannersScottsdale, Ariz.-based global site-selection and meeting procurement company Hospitality Performance Network Global has hired Kristin Vines as regional vice president for Hawaii. SuppliersAnthony Annunziata has been named vice president of marketing at the 432-room Marriott Fallsview Hotel & Spa and 260-room Marriott Gateway on the Falls in Niagara Falls, Ontario. Armando Emanuelli has been appointed director of sales and marketing at the 240-room Sher­aton Old San Juan Hotel & Casino in Puerto Rico. 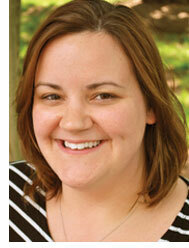 The 917-room Na­tional Confer­ence Center in Leesburg, Va., has promoted Kelli S. Mueller from to senior conference planning manager. 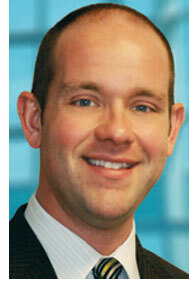 Todd O'Leary has been promoted from director of membership to director of marketing for Visit Milwaukee. At the 1,014-room Buena Vista Palace Resort & Spa in the Walt Disney Resort in Lake Buena Vista, Fla., Doris O'Neill has been hired as national sales manager and Bernard Grossman as sales manager. 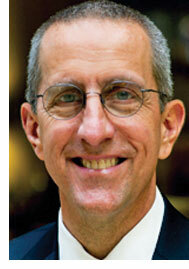 Fred Peterson has been elected regional director for the Boston-based International Asso­ciation of Venue Managers. He also serves as director of facilities operations for the Massachusetts Convention Center Authority. The Greater Phoenix Convention & Visitors Bureau has hired Regina Rink as director of national accounts and Julie Nicolazzi as national sales manager with a focus on hotel and resort sales in the Midwest market. 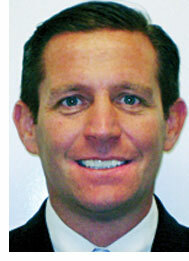 At the 453-room Hyatt Regency Tul­sa (Okla.), Todd D. Scholl has been named director of sales and marketing. 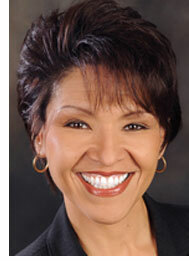 In Las Vegas, MGM Resorts Interna­tional has named Mary Ann Sena-Edelen as director of regional sales–diversity. Ruby Serra and Associates has been appointed as sales representative, U.S. and Canada, for marketing consortium Des­tination Asia. Serra is based in Schaumburg, Ill. The 396-room Pea­body Little Rock (Ark.) has hired Bruce Skidmore (right) as director of sales and marketing and Alain Piraux as director of F&B. At the 398-room Half Moon, a Rock Resort, in Rose Hall, Jamaica, Lee Weinstock has been hired as director of sales and Wouter Tjeertes as executive pastry chef. 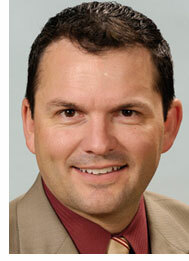 Mark H. White has been named the new president and CEO of the Reno-Sparks (Nev.) Convention & Visitors Authority.